BirdSpot is a home of full line and range of bird products and deals in everything ranging from bird food, interactive toys, and much more. The supplies you would find enlisted on this page are made up of 100% safe and quality tested products and cause no hazard to your feathered beauties. BirdSpot does its bit every day to bring about an air of difference in the products it offers and thus becomes the ultimate choice of brand when it comes to its repeat customers. Not just the food, but the toys are also designed ingeniously to be as interactive, as they look attractive. 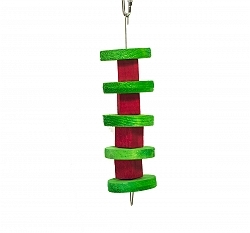 These are made from the safest and finest quality material and made colourful to pull in attraction of your feathered friends. 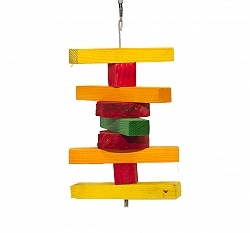 These toys help engage the birds in activities in an otherwise dull world of the cage. They help break the monotony and your birds learn about various sizes and shape. They can also nibble on these toys which can be hung inside their cages, thus keeping their beaks in shape. 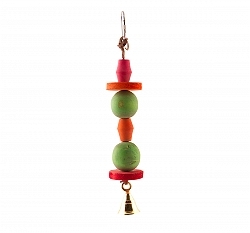 These toys help in an active mental stimulation, which is very important to keep your bird happy and full of zip!